This week we have been fortunate enough to have two guest performances for the full school to enjoy. 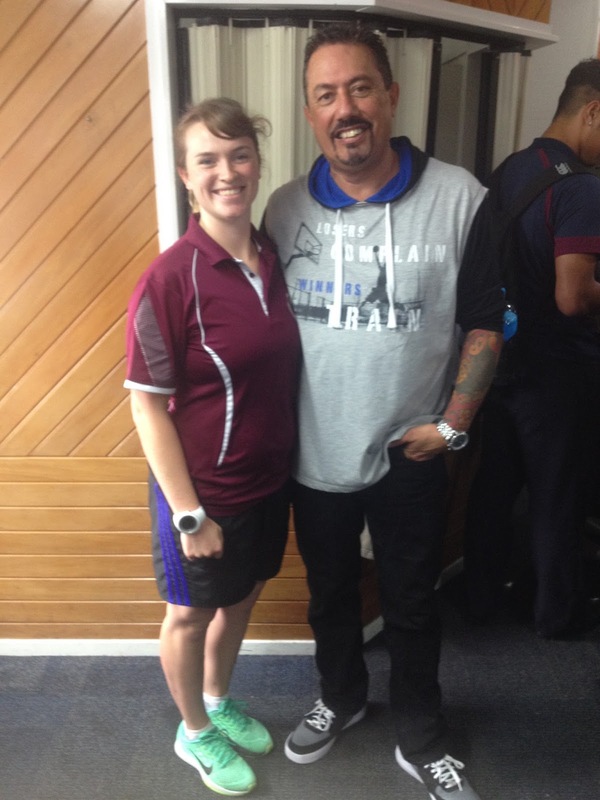 On Tuesday we were visited by iLuminate dance crew, and today a well-known New Zealand comedian, Mike King. iLuminate are an American group, who have become well known for following dreams, living amongst their passions and being unique. 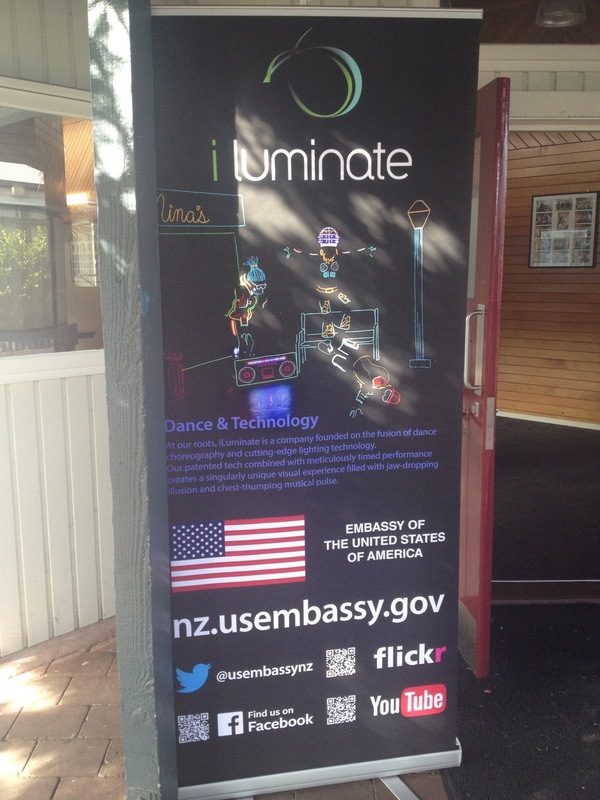 They have combined the love for technology with the love of dance, to create something quite extraordinary. iLuminate perform in the dark, because their suits light up - that is the main attraction and explains their name. Apologies if it is difficult to see! The brains behind this masterpiece is Miral Kotb, who is a talented software engineer with a love for dance. She merged her two loves together to create iLuminate; performers who dance in suits that light up in sync with the music, through a wireless network. Amazing! The message put across from the crew, who were from low-socioeconomic, 'rough' neighbourhoods growing up, is that the only thing you need to be successful and to be happy is passion. Passion provides us with drive and determination towards something, which should not be ignored. They discussed the importance of following our dreams and doing what we love, because even if it may not feel like the best option at one given time, and even if we need to make sacrifices or take risks, it is most likely following our dreams will result in a happier life. 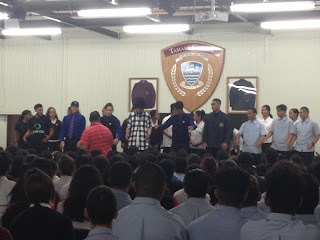 The performance concluded with Tamaki's kapa haka group teaching and performing the haka alongisde the dance crew. 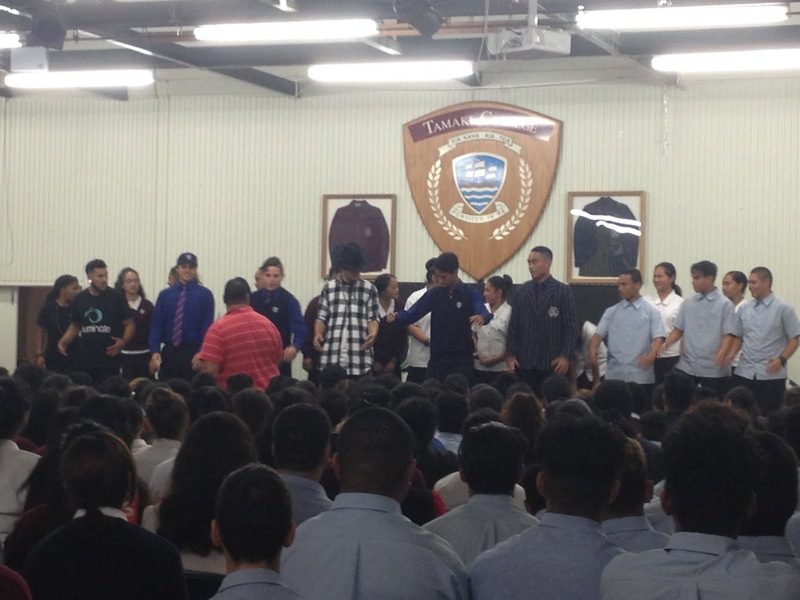 I was proud of the prefects particularly and then the whole school perform a haka as a cohort. I am more excited about creating a dance unit for the Year 9s for Term 4, because the students were amazed by the performance. The kids have headphones in 24/7, when they are moving between classes, they are often having a boogie along the way - they love music and they love to dance. 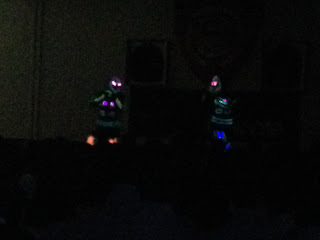 This was visible during iLuminate's performance, as the students were cheering, applauding and dancing with the music. I am so excited to see my own students performing later in the year! Following on from this, earlier today we had an interactive presentation from award-winning comedian Mike King. 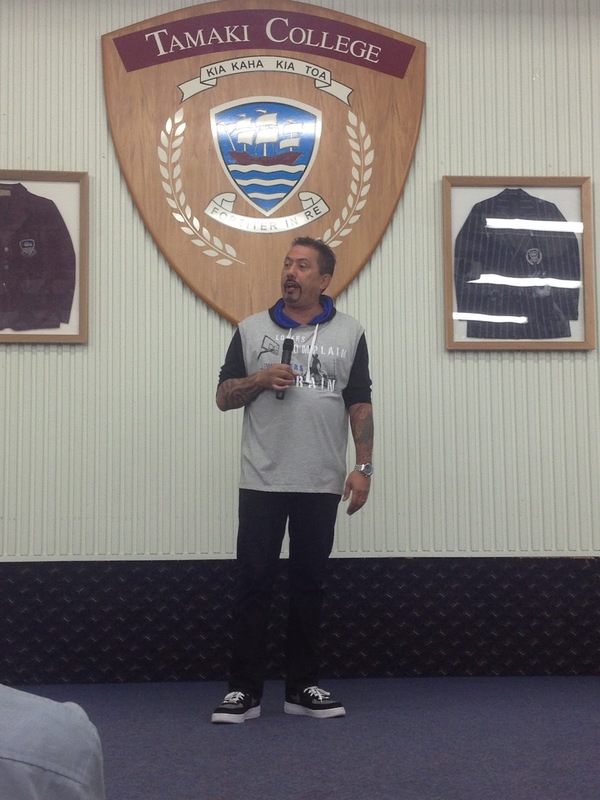 Mike told us his story from the beginning to today, and his fight against depression, alcoholism and a drug addiction. 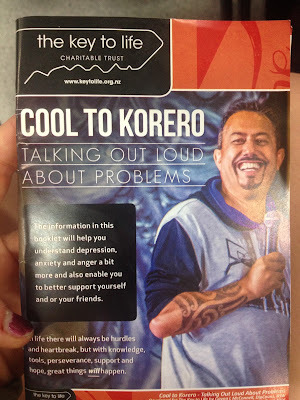 His presentation, Cool to Korero, aims to increase awareness and acceptance of mental health and urges the need to ask for help. Mike cleverly kept the school engaged and high spirited throughout a touchy subject, a subject that can be difficult to talk about, by keeping his presentation very light hearted. I found myself crying of laughter. Mike was phenomenal. His messages were very powerful, as they were easily relatable to the students and their lives. Mike's presentation encouraged Maori and Pasifika to recognise that even if they are Decile 1a, if that's how they identify and label themselves, then that's how others will. He encouraged students to consider themselves as equals, to everyone else in the world, because the reality is - they are equal. Self esteem and self confidence in our community is low. Dangerously low, so much it frightens me. A goal of my own teaching, as well as many other teachers in the school, is to increase students' self esteem and self confidence. Mike's presentation supported this considerably, which was wonderful. I look forward to the programme Mike is currently developing and working alongside him. My favourite part of these powerful presentations was their openness and willingness to be approached and contacted whenever students need. Mike even provided students with his personal email and mobile number! I encourage anyone to contact me too, if they need someone to talk to. If you, or anyone you know show any signs or symptoms of depression (i.e. anger, self blame, self harm, sleep or appetite changes), ask for help. Whether this is a loved one, a trusted adult or a counsellor, it is ok to ask for help. Some organisations who can help in New Zealand for a variety of support are listed on the New Zealand Mental Health Foundation website.